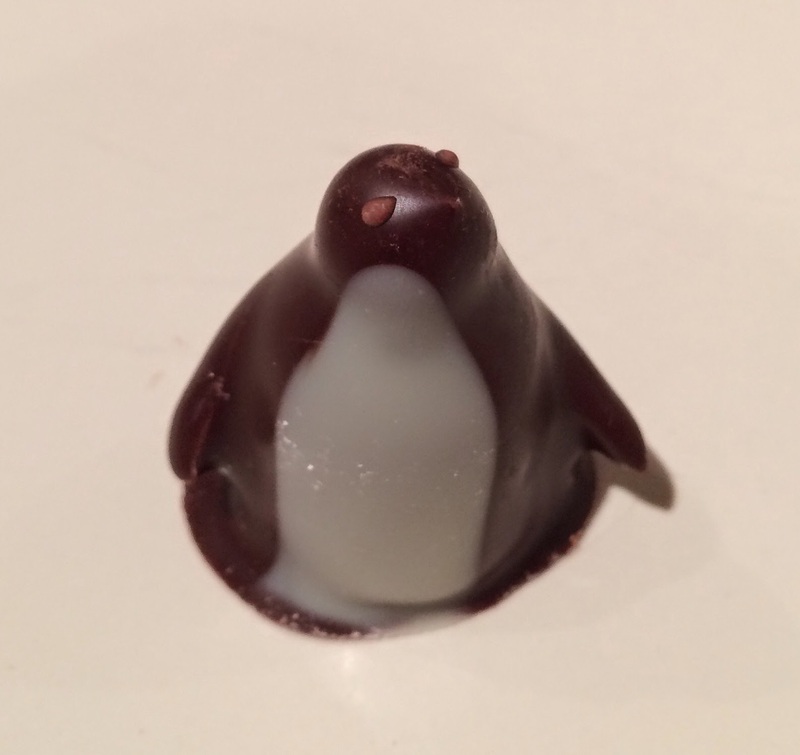 When I bought 3 kinds of Chocolate Mice at L.A. Burdick Chocolate, I also bought a Chocolate Penguin, which is also as famous as the Mice. 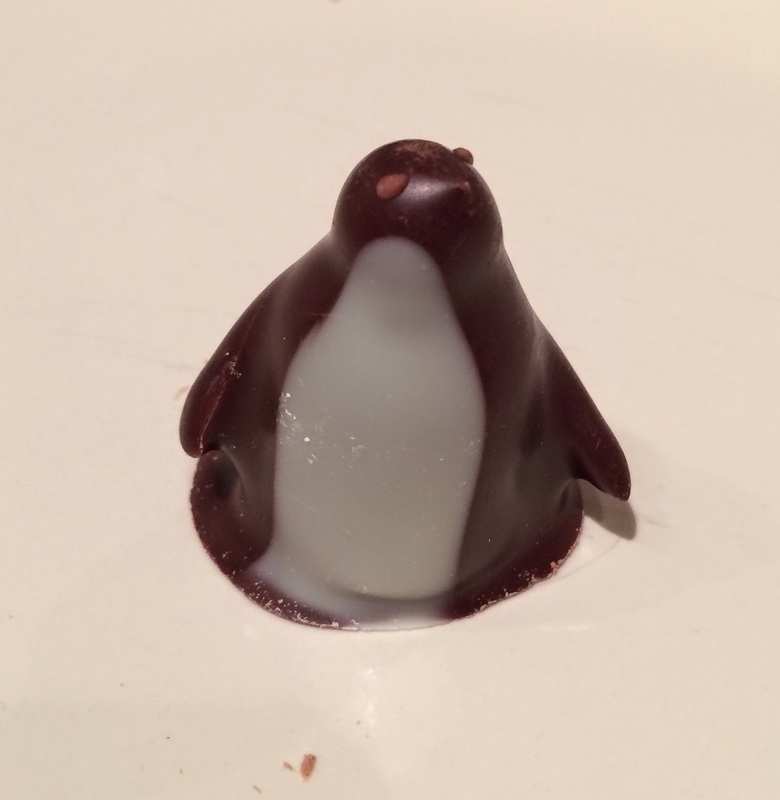 Chocolate Penguin was tilting the head side, and it looked as if s/he is looking up the left top. 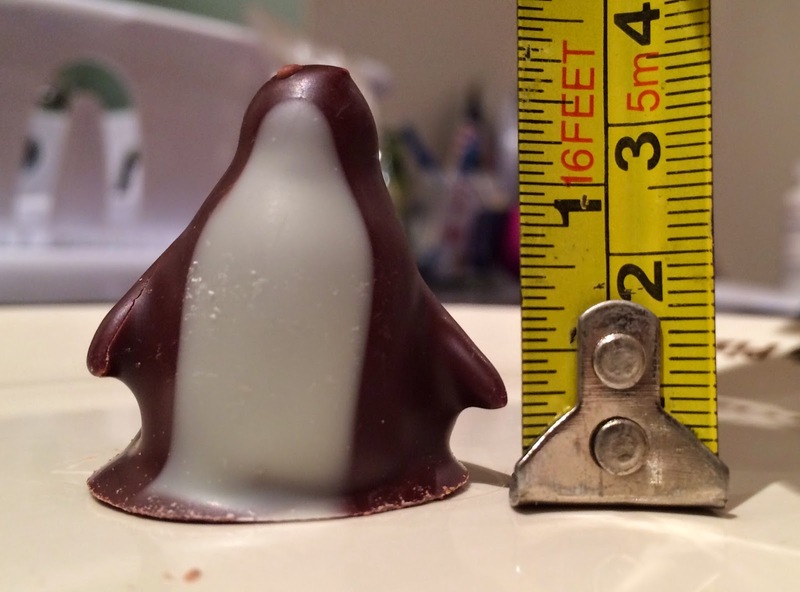 The bottom was about 2.5cm (0.98 inch). The height about 3.5cm (1.4 inch). 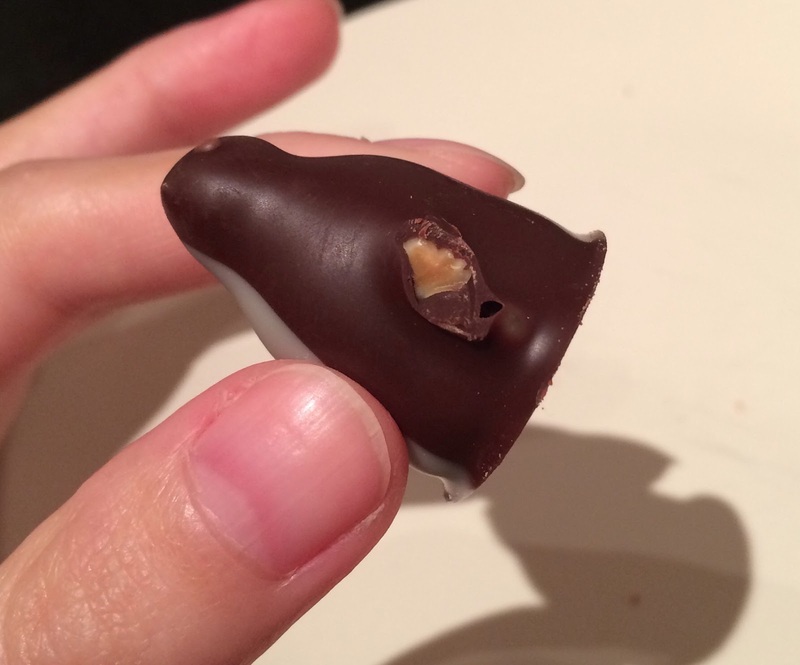 The wing was an almond. 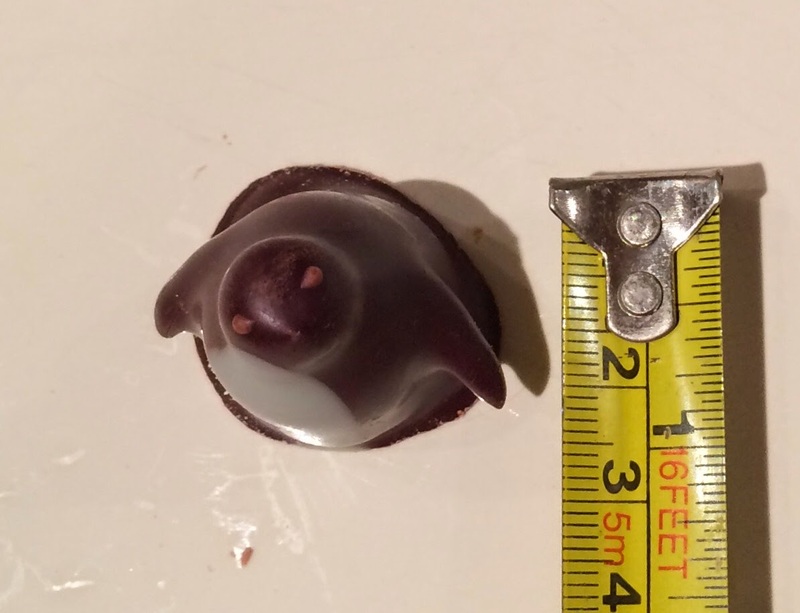 Under the dark chocolate penguin with white chocolate stomach, there's whipped chocolate like Chocolate Mice, and it had a really subtle citrus flavor and alcoholic aftertaste. On the HP, it says that the whipped lemon ganache and limoncello. 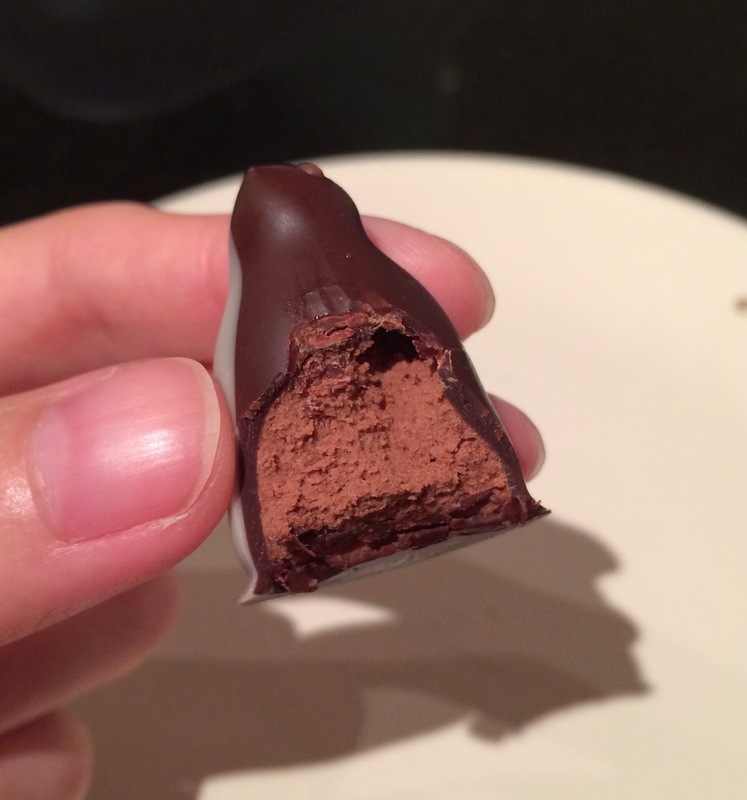 Another review of L.A. Burdick Chocolate.